Our lives have seen vast improvements since Tim Berners-Lee invented the world wide web in 1990. Perhaps we were always warned about its negative implications, however, the past 18 months have marked a big shift in our digital ecosystem - a realisation that trust is fragile and tech responsibility is critical. The darker side of digital is here, whether we like it or not. 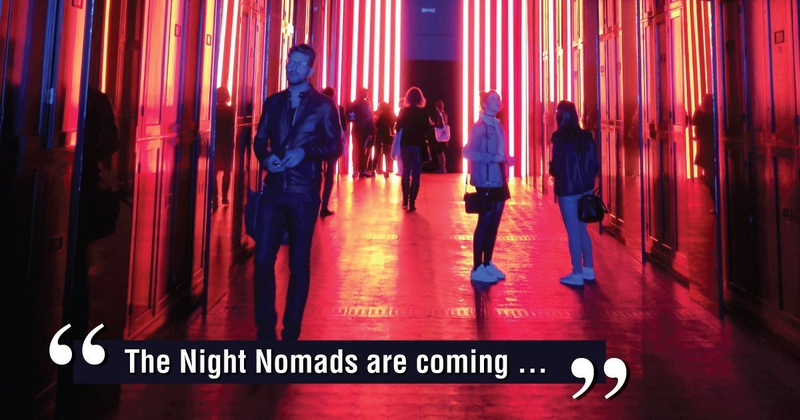 Something Digital’s Night Nomad series will facilitate three frank and confronting conversations around the way in which digital technology is interfering with our lives. From data weaponisation to intimacy and our new robot servants, we will be asking the tough questions and looking for answers in all the dark places. Technology is now the single most important factor in driving the business and economic landscape. It disrupts long–standing stable industries – look at the impact of Amazon on retail, Twitter on NewsMedia, Uber on Taxis – just to name a few. It creates new businesses and new industries. QODE is a new technology and innovation event for Australia– right in the heart of Brisbane – gateway to the Asia Pacific. QODE is for companies, government officials, investors, entrepreneurs and startups – all trying to understand what the future business landscape will look like as technology drives continuous change. Featuring global experts presenting centre–stage over two days, QODE (https://qodebrisbane.com/) will be unlike any other technology event in Australia. WiT members & subscribers receive 20% discount on QODE Red Passes. Simply use Promo Code Q19SR9 when booking on https://qodebrisbane.com/tickets/.